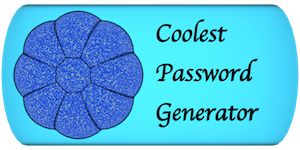 1.Password Checker & Generator is useful for creating Strong password. 2.Network are not safe always.So never input original password without trust. 3.We have knowledge about password cracking and time by time we update our password checker. 4.Don't use your name,birthdate,mobile number in your password. 5.Change Your Password frequently.That make your protection high. 6.Two Step Authentication,finger scanner & other service available in some system.Use that if you feel comfortable with that. 7.Try Password Checker & Generator.Good Luck for Strong Password . Easy cracking Password :Means Someone Crack this password by cracker program in less time. Easy password :Take More time compare to easy cracking. Medium password :High Security compare to easy level. Medium Good Password :Require more time to crack. Good Password :Require long time for crack.Best as per our logic. 4.Plus Sign/Symbol:[ Minimum :1 ] in your final password .